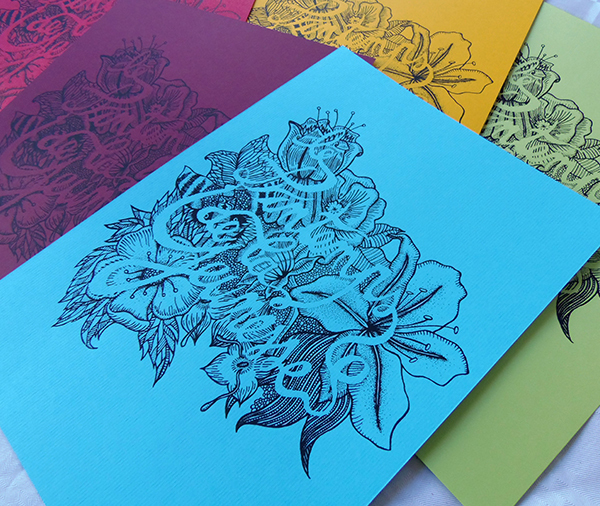 Cartes A5 « Insectes » et A6 « Superobots »sérigraphiées. 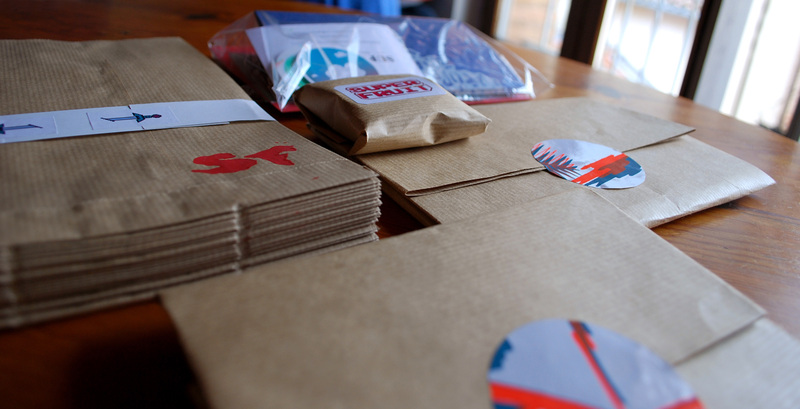 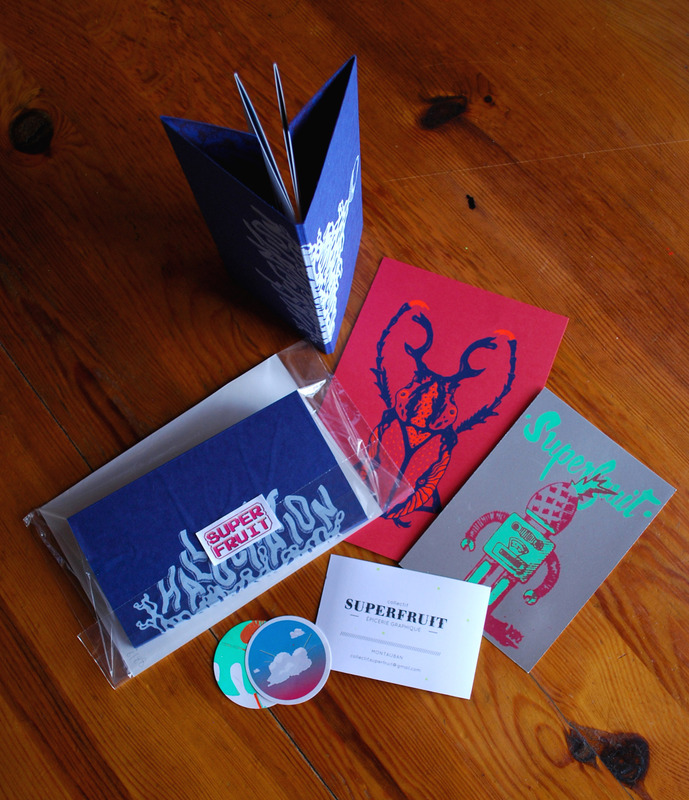 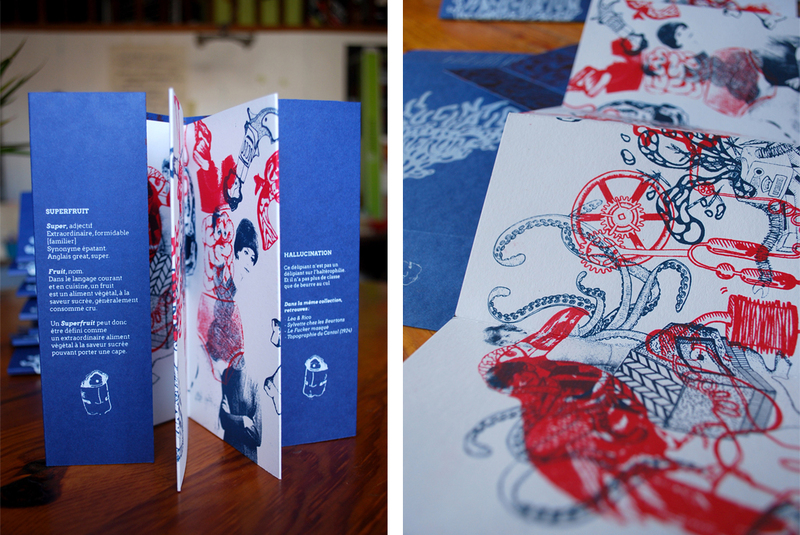 Submissions for KRAFT, a french festival (Nantes) of screen printing and micro-edition. 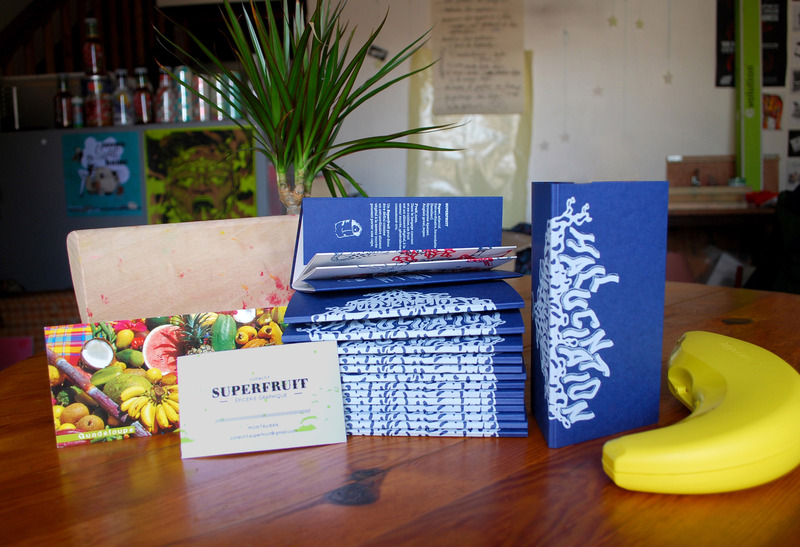 Superfruit created a leporello Hallucination and printed card.